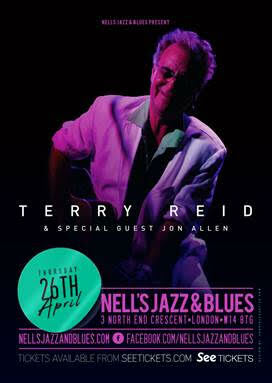 Terry Reid - who is one of the greatest rock vocalists this country has ever produced - has confirmed a live show at Nell’s Jazz & Blues in London on Thursday, 26th April 2018. Reid will be joined on stage by Neil Hubbard on guitar, Jennifer Maidman on bass guitar and Ash Soan on drums, performing songs from across his five decade-long career; from albums such as Bang, Bang You're Terry Reid (1968), Terry Reid (1969), River (1973), Seed of Memory (1976) and Rogue Waves (1979) all the way through to some of the new songs Reid co-wrote and sang on for Aerosmith guitarist Joe Perry’s latest solo LP ‘Sweetzerland Manifesto’. Opening the show will be Reid’s special guest Jon Allen, the highly acclaimed sing-songwriter who releases his new album ‘Blue Flame’ on May 18th 2018 on Monologue Records. 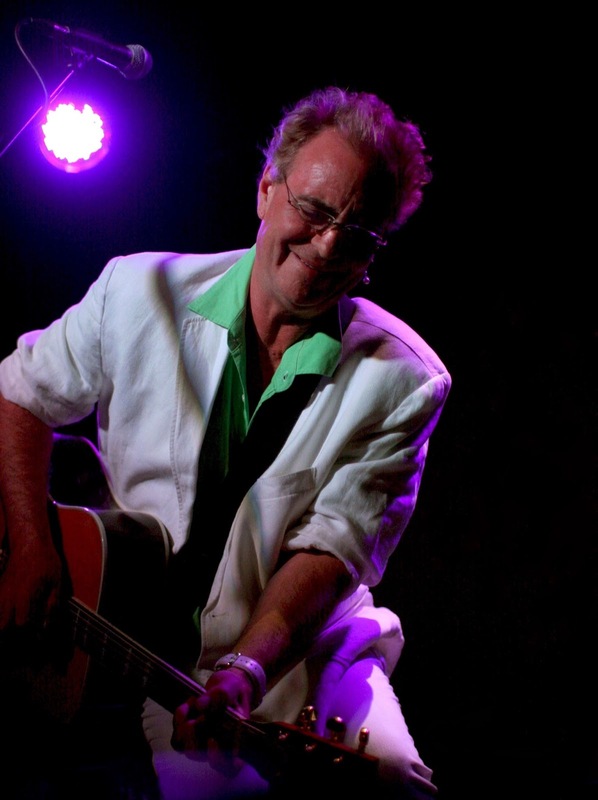 Terry Reid has a remarkable history. Affectionately known as ‘Superlungs’, the in-demand Reid famously turned down Jimmy Page’s offer to become the front man for the band that would become Led Zeppelin, instead recommending and introducing Page to his friends Robert Plant and John Bonham. Due to contractual obligations, Reid also turned down a similar offer to front Deep Purple after being courted by the band’s guitarist Ritchie Blackmore. And when Aretha Franklin cites you as England’s finest alongside The Beatles and The Rolling Stones, as the Queen of Soul did in 1968, you know you must be doing something right. Reid’s credentials were further consolidated on two world tours with The Rolling Stones, U.S. tours with Cream and U.K. tours with Jethro Tull and Fleetwood Mac. Reid also performed at The Isle of Wight Festival in 1969 and the inaugural Glastonbury Festival in 1970, and also performing as part of an all-star jam at Mick and Bianca Jagger’s infamous wedding reception in San Tropez in 1971. But that’s not all. Reid’s story includes numerous collaborations with Graham Nash, his songs being covered by the likes of The Hollies, Marianne Faithfull, The Raconteurs and a back catalogue of six studio albums - including the seminal 1973 album ‘The River’ and the 1976 Graham Nash produced album ‘Seed of Memory’. Following a return to the Glastonbury Festival in 2009, Reid played a three night residency at Ronnie Scott’s in London - one of only a handful of non-Jazz artists invited to help mark the legendary venue’s 50th Anniversary. Reid played to packed houses, critical acclaim, and returned in 2010 and 2011 to sell out three consecutive nights. In May 2011, Reid toured Ireland for the first time in 30 years and released a new live album ‘Live In London’, which included several previously unreleased tracks. Uncut Magazine then presented a show featuring Reid at The Jazz Café and he toured England before returning to Glastonbury once more, headlining the Spirit of ‘71 stage. In 2012, Rumer introduced Reid to a new generation when she featured his song ‘Brave Awakening’ on her 2012 album ‘Boys Don’t Cry’ (which entered the UK Album Chart at No3), before Reid returned to perform at the Isle of Wight Festival for the first time since 1971. Later that year, DJ Shadow invited Reid to write the lyrics to a new track for his forthcoming ‘Reconstructed’ album, which became the song ‘Listen’. The song’s official video has since been played on YouTube over 500,000 times.